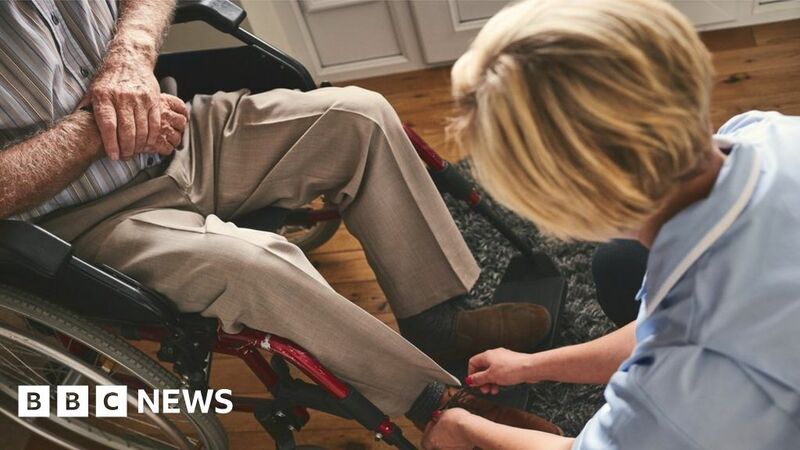 A major UK home care provider, offering support to 13,000 older and disabled people, is seeking to transfer or sell all its contracts to other providers. Allied Healthcare was warned this month by the care regulator about its financial sustainability. Since then, some local authorities have already taken steps to find new providers. The company says it is working closely with councils to ensure there is no disruption to people’s care. Allied Healthcare provides services such as preparing meals, washing and giving medication. Last week, the Care Quality Commission, which regulates such services in England, issued a notice – warning that it had serious doubts about the future of the company. It was the first time the regulator had issued such a notice about the financial sustainability of a social care provider. The CQC said it was concerned about the viability of services run by Allied Healthcare from the end of November and was warning councils to make contingency plans. It said the company had failed to provide adequate assurances regarding future funding and there was now a credible risk of disruption to services. Can the government deliver on radical care reform? But a company spokesperson said on Friday that the CQC statement had “negatively impacted” the firm, led to some customers transferring care services to alternative providers, and disrupted staff retention and recruitment. The company said it had to re-evaluate its long-term business plan and was exploring the sale or transition of services to alternative providers, including the transfer of staff. The BBC understands it has now been able to extend its credit by three weeks from the end of November. The watchword coming from all involved – in what appears to be the demise of one of the UK’s largest providers of homecare – is reassurance. Allied Healthcare, councils, the regulator and the government are focused on making sure vital care will continue as normal for the more than 13,000 people, who get visits from the company’s staff. No one can afford to get that wrong. But once handovers have happened, serious questions will remain about the pressure on the care market. Earlier this year, Allied blamed low fees from local authorities for some of their financial woes. Councils themselves warn of a £3.5 billion shortfall in funding for adult social care by 2025. And campaigners describe the care system as failing. The government has promised a green paper on the long term funding of social care by the end of the year. Previous deadlines have been and gone, and with so much political turmoil, the fear is it will slip again. But for many, the financial problems faced by Allied will have underlined just how much strain the care system is under right now. Andrea Sutcliffe, chief inspector of adult social care at the Care Quality Commission (CQC) said Allied Healthcare had had “every opportunity” to put together a plan for its future sustainability and “failed to do so”. She said there had been a clear requirement for the CQC to issue the notice so local authorities could be informed about the “credible risk of service disruption to people’s care” and could make contingency plans. Colin Angel, from the UK Home Care Association, said: “Reasonable arrangements to contract with prospective providers must be put in place swiftly. The Local Government Association said it was working closely with the CQC, the Department of Health and social services to ensure continuity of care for people currently supported by Allied Healthcare.